Chantal Rens is queen of the collage ! Cutting up images and piecing them together is too simple a description here. 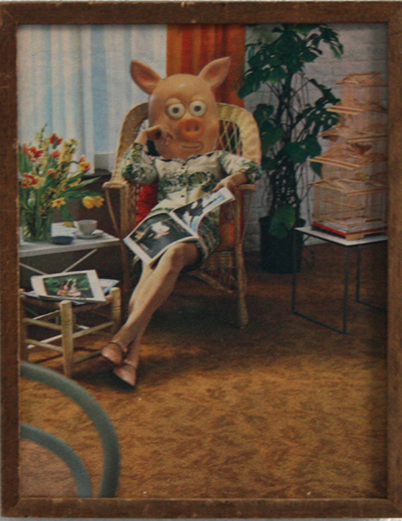 Witty and thought-provoking, as are her epithets, or titles that accompany each image. 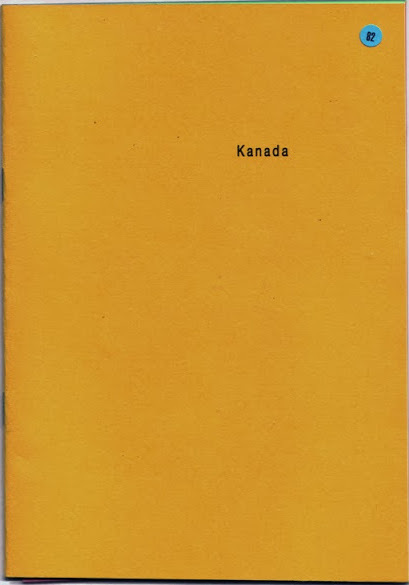 Kanada (2013) is printed in b/w on coloured paper in an edition of 250 copies. Each copy is signed and numbered by the artist herself. Available in an array of trendy colours: lilac blush (no. 213), bottle green (no. 99) or canary yellow (no. 212). – State your preference please.